Keywords: Chromatin, Chromosome, Development, Live cell imaging, Post-translational protein modification, Transcription. In multicellular organisms, including human, all cells are derived from a single fertilized egg and so essentially harbor the same genetic information. During development and differentiation, specific gene subsets are expressed in specific cell types. As DNA is wrapped around histones to form nucleosomes in eukaryotes, gene expression is regulated at chromatin levels in addition to transcription factors that bind to DNA. In particular, DNA methylation and posttranslational histone modifications play a critical role in "epigenetic" gene regulation. To understand how transcription by RNA polymerase II is regulated by histone modifications and chromatin structure in vivo, we are tracking histone and RNA polymerase II modifications in living cells and organisms by developing new fluorescent probes. Kaimori JY, Maehara K, Hayashi-Takanaka Y, Harada A, Fukuda M, Yamamoto S, Ichimaru N, Umehara T, Yokoyama S, Matsuda R, Ikura T, Nagao K, Obuse C, Nozaki N, Takahara S, Takao T, Ohkawa Y, Kimura H, and Isaka Y. (2016). Histone H4 lysine 20 acetylation is associated with gene repression in human cells. Sci Rep 6, 24318. Dias JD, Rito T, Torlai Triglia E, Kukalev A, Ferrai C, Chotalia M, Brookes E, Kimura H, Pombo A. (2015). Methylation of RNA polymerase II non-consensus Lysine residues marks early transcription in mammalian cells. Elife 4, pii: e11215. Kimura H, Hayashi-Takanaka Y, Stasevich TJ, and Sato Y. (2015). Visualizing posttranslational and epigenetic modifications of endogenous proteins in vivo. Histochem Cell Biol 144, 101-109. Hayashi-Takanaka Y, Maehara K, Harada A, Umehara T, Yokoyama S, Obuse C, Ohkawa Y, Nozaki N, and Kimura H. (2015). Distribution of histone H4 modifications as revealed by a panel of specific monoclonal antibodies. Chromosome Res 23, 753-766. Stasevich TJ, Sato Y, Nozaki N, and Kimura H. (2014). Quantifying histone and RNA polymerase II post-translational modification dynamics in mother and daughter cells. Methods 70, 77-88. Hayashi-Takanaka Y, Stasevich TJ, Kurumizaka H, Nozaki N, and Kimura H. (2014). Evaluation of chemical fluorescent dyes as a protein conjugation partner for live cell imaging. PLoS One 9, e106271. Arimura Y, Kimura H, Oda T, Sato K, Osakabe A, Tachiwana H, Sato Y, Kinugasa Y, Ikura T, Sugiyama M, Sato M, and Kurumizaka H. (2013). Structural basis of a nucleosome containing histone H2A.B/H2A.Bbd that transiently associates with reorganized chromatin. Sci Rep 3, 3510. Sato Y, Mukai M, Ueda J, Muraki M, Stasevich TJ, Horikoshi N, Kujirai T, Kita H, Kimura T, Hira S, Okada Y, Hayashi-Takanaka Y, Obuse C, Kurumizaka H, Kawahara A, Yamagata K, Nozaki N, and Kimura H. (2013). Genetically encoded system to track histone modification in vivo. Sci Rep 3, 2436. 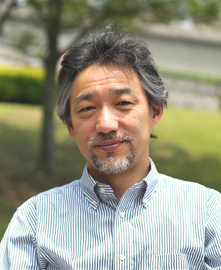 Kimura H. (2013). Histone modification for human epigenome analysis. J Hum Genet 58, 439-445. Hayashi-Takanaka Y, Yamagata K, Wakayama T, Stasevich TJ, Kainuma T, Tsurimoto T, Tachibana M, Shinkai Y, Kurumizaka H, Nozaki N, and Kimura H. (2011). Tracking epigenetic histone modifications in single cells using Fab-based live endogenous modification labeling. Nucleic Acids Res 39, 6475-6488. Hayashi-Takanaka Y, Yamagata K, Nozaki N, and Kimura H. (2009). Visualizing histone modifications in living cells: spatiotemporal dynamics of H3 phosphorylation during interphase. J Cell Biol 187, 781-790. Goto Y and Kimura H. (2009). Inactive X chromosome-specific histone H3 modifications and CpG hypomethylation flank a chromatin boundary between an X-inactivated and an escape gene. Nucleic Acids Res 37, 7416-7428. Kimura H, Hayashi-Takanaka Y, Goto Y, Takizawa N, and Nozaki N. (2008). The organization of histone H3 modifications as revealed by a panel of specific monoclonal antibodies. Cell Struct Funct 33, 61-73. Kimura H, Takizawa N, Allemand E, Hori T, Iborra FJ, Nozaki N, Muraki M, Hagiwara M, Krainer AR, Fukagawa T, and Okawa K. (2006). A novel histone exchange factor, protein phosphatase 2Cgamma, mediates the exchange and dephosphorylation of H2A-H2B. J Cell Biol 175, 389-400. Kimura H. (2005). Histone dynamics in living cells revealed by photobleaching. DNA Repair 4, 939-950. Kimura H, Sugaya K, and Cook PR. (2002). The transcription cycle of RNA polymerase II in living cells. J Cell Biol 159, 777-782. Kimura H and Cook PR. (2001). Kinetics of core histones in living human cells: little exchange of H3 and H4 and some rapid exchange of H2B. J Cell Biol 153, 1341-1353. Kimura H, Nozaki N, and Sugimoto K. (1994). DNA polymerase alpha associated protein P1, a murine homolog of yeast MCM3, changes its intranuclear distribution during the DNA synthetic period. EMBO J 13, 4311-4320. Kurokawa, Nakashima & Yamada Lab. Copyright ©2015 TOKYO INSTITUTE OF TECHNOLOGY. All rights reserved.